It was a great pleasure yesterday morning to welcome Rev. 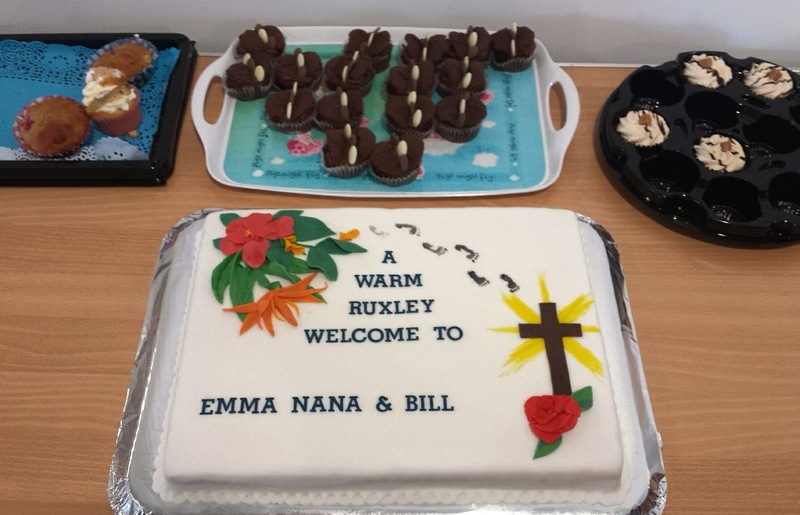 Emma Aikins as the Methodist half of our ministry here at Ruxley. 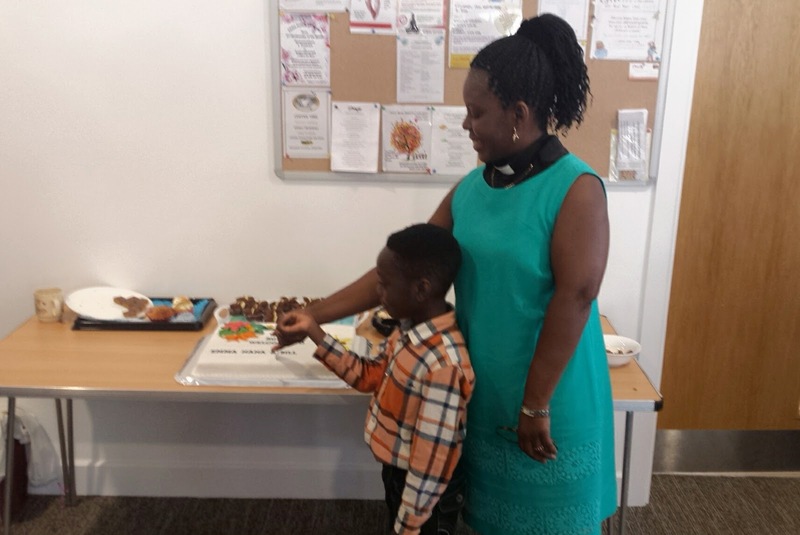 Emma led our communion service, which was followed by coffee and a celebration cake, shared by all, in her honour. 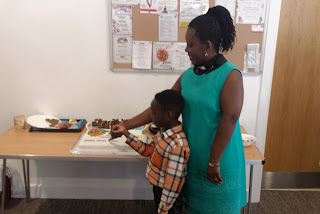 It was also a joy to have her son Nana join our “Fish Club” for the younger members of our church family. At a service at Stoneleigh Methodist Church on Wednesday Emma was also officially welcomed into the Wimbledon Circuit of the Methodist Church by local representatives, including the Mayor of Epsom and Ewell. Click here for Emma's introduction to herself.